Dynasty is a drama series airing on the CW. This featurette interviews Nathalie Kelley about her character, Crystal Flores. 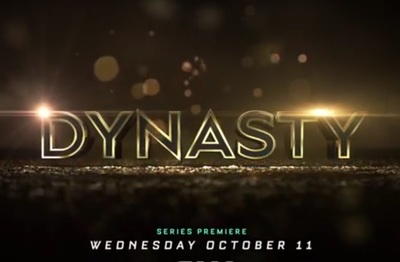 Dynasty also stars Alan Dale, Sam Adegoke, Elizabeth Gillies, James Mackay, Wakeema Hollis, Robert Christopher Riley, and Grant Show.